On March 22, celebrate World Water Day by viewing student art. The grade one and two students of Victory Public School have created artwork inspired by Joanne Robertson's book The Water Walker and would love to share their creations with you! 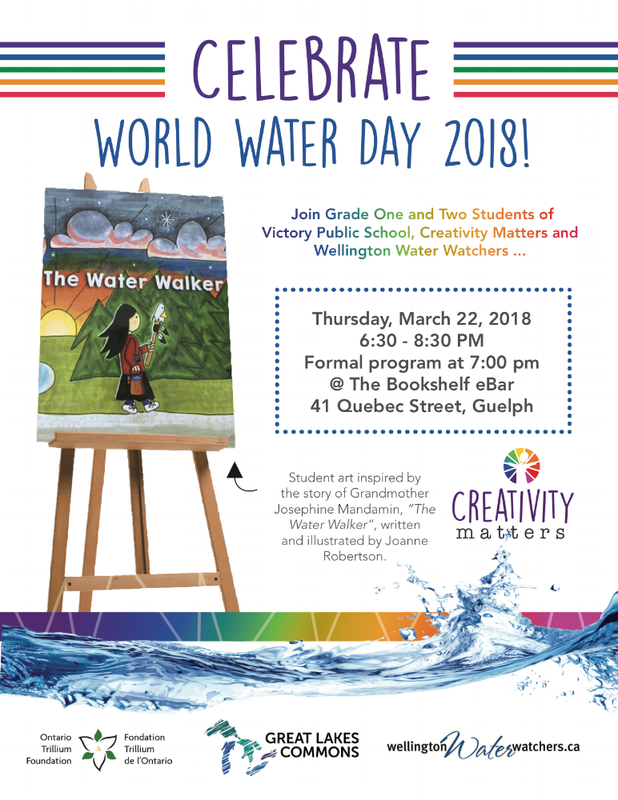 Join the students of Victory Public School, Creativity Matters, and the Wellington Water Watchers as they reflect on what The Water Walker means to them.